In line with plans to deliver on client Birmingham Metropolitan College’s strategy to provide the best in education and future proof for growth, Speller Metcalfe was contracted to undertake a multi-phase project to extend and redevelop facilities at the James Watt Campus. Phase 1 incorporated a simple remodelling project of some existing classrooms and corridors. 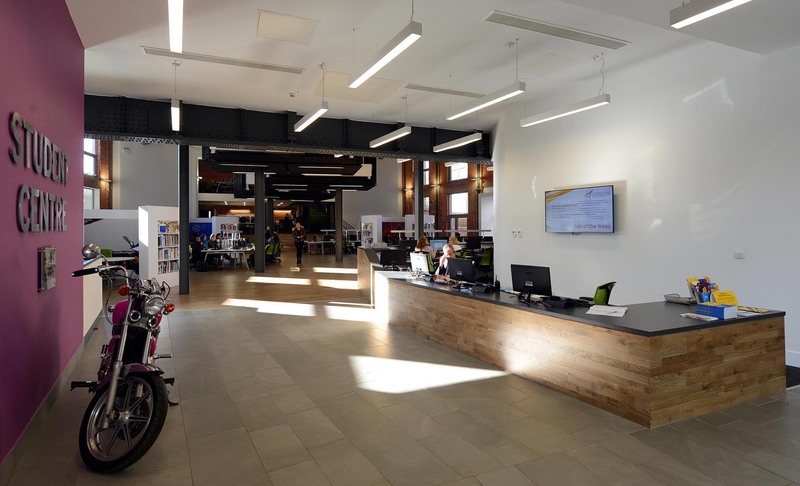 Phase 2 involved the construction of the Sustainable Energies Centre, aimed at training the next generation of specialist engineers and trades to cope with the growing demand for renewables expertise. 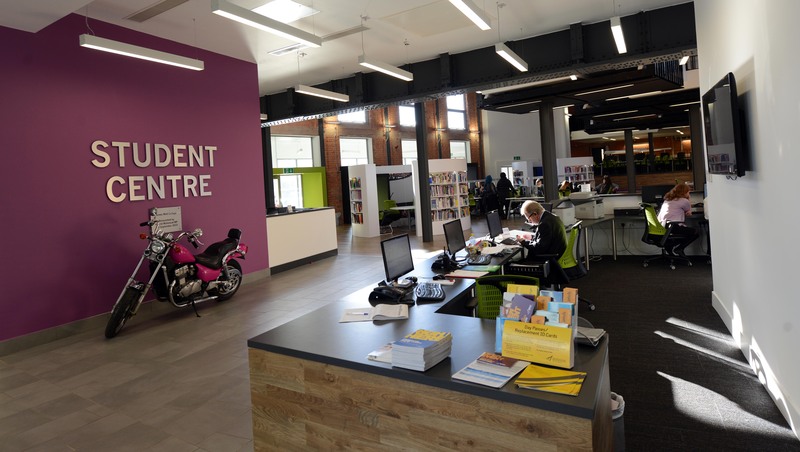 The building houses a range of technologies across varying boiler systems, ground source heat pumps, PV panels and solar thermal systems which the students can access and learn about in a practical environment. Phase 2 also incorporates a new atrium to improve circulation, a new café and first floor facilities alongside the refurbishment of the existing ground floor. Phases 3 and 4 covered the new Blackstone Wing envelope, which provides a link to the main building, external landscaping including car parking, window replacement, general M&E, boiler room refurbishment and college-wide electrical and heating supply refurb. 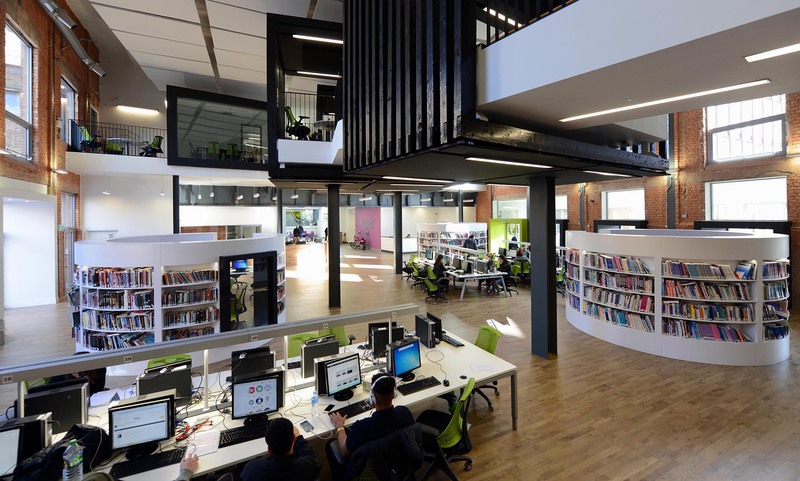 This project also saw the construction of the new Learning Resource Centre (library), which was constructed in a unique manner with high level elevated walkaways and mezzanines with colourful learning pods. 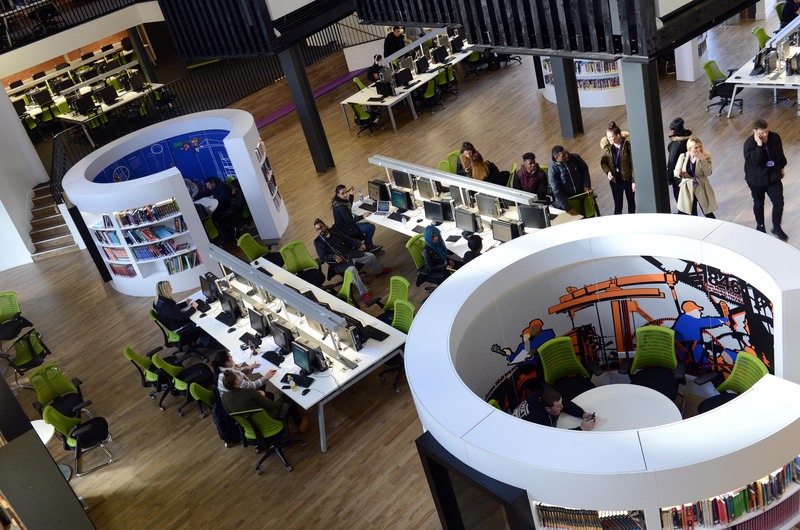 This project ran simultaneously alongside another Speller Metcalfe scheme at Birmingham Metropolitan College with a combined project value of over £10 million.